Dr. Sparks welcomes this beautiful girl! Her mom was his last delivery to one of his own patients. As many of Dr. Sparks’ patients have already heard, beginning October 1st, he will be limiting his practice to gynecology. He looks forward to directing his full-time focus to his patients’ gynecologic care needs and to his long-time interests in minimally-invasive gynecologic surgery, screening and risk-reducing strategies for women’s cancer risk, the menopause transition, and osteoporosis. In 2009, Dr. Sparks was one of the early Birmingham gynecologists to begin using the minimally-invasive procedure known as “robotic surgery.” He is still amazed at how his patients benefit from this technology. More women are able to opt for surgery to deal with disabling gynecologic problems, knowing they will face very little “down time” from their daily lives. He reminds women that it is now a rare situation that will require a traditional abdominal hysterectomy. Dr. Sparks has also maintained an active interest in the special issues affecting women during the menopausal transition, including perimenopause, premature menopause, menopause symptoms, and hormone replacement therapy. He has recently achieved the North American Menopause Society’s Certified Menopause Practitioner (NMCP) designation. (currently the only NCMP gynecologist in greater-Birmingham.) He looks forward to increasing his availability to patients to discuss bothersome symptoms of menopause and low-risk options for improving their quality of life. For his GYN patients who may require OB care in the future, Dr. Sparks says it will be a pleasure to refer their OB care to partners whom he respects so highly. He will also enjoy sharing their good news and continuing their gynecologic care after delivery. 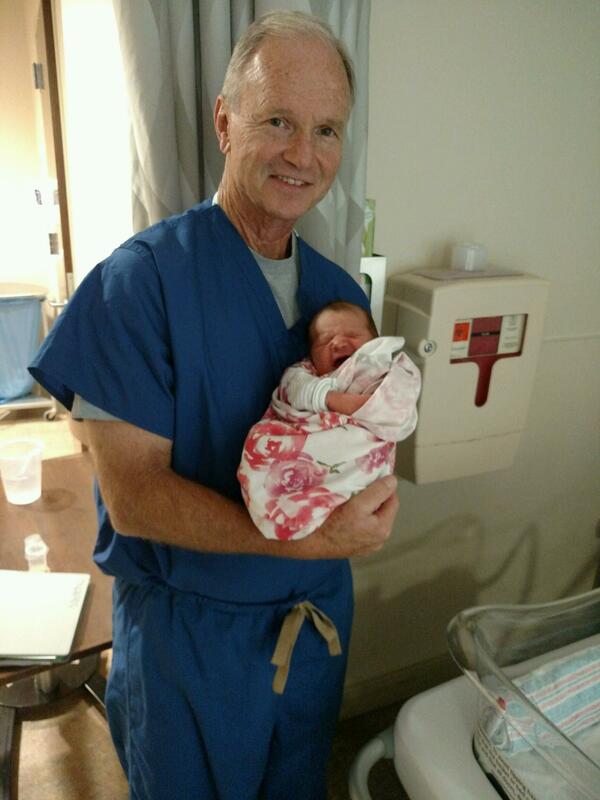 We asked Dr. Sparks to share some memories of his 4 decades of obstetric practice. He recalled many families for whom he was able to deliver each of their children (up to 5 siblings in a case or two)! Looking over some Facebook posts, he points out a comment from one patient who shared that he delivered her children, her grandchild, and was a schoolmate of her mother! He has worried with parents whose path to having a child was very challenging. Good outcomes, especially in these situations, remind him that his career has indeed been blessed. Dr. Sparks wishes to express his sincere gratitude to the families he has cared for over the past four decades for the trust they have placed in his care.